Outpatient treatment is the most common and affordable type of treatment for individuals struggling with drug or alcohol use disorder. It allows patients to get the help they need for the medical and behavioral aspects of their conditions while maintaining their families, careers and other lifestyle obligations. 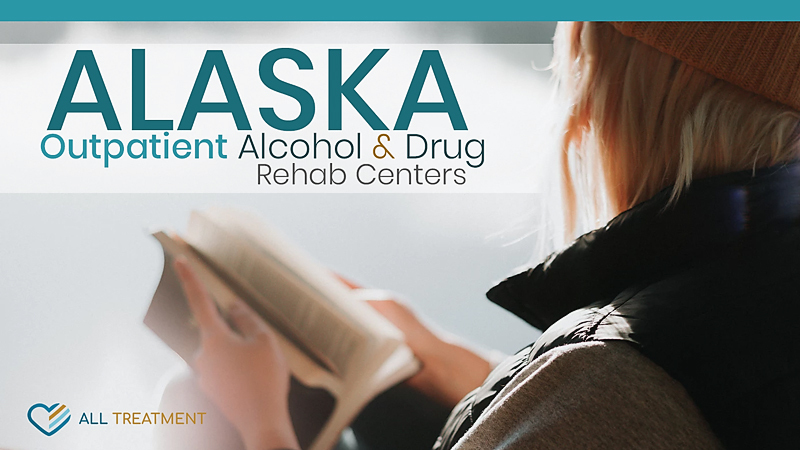 As Alaska’s need for quality addiction treatment resources becomes increasingly apparent, the state is offering more and more outpatient facilities to help residents get the help they need. Outpatient treatment typically involves counseling, group therapy and a customized blend of behavioral techniques like cognitive behavioral therapy, family therapy, creative exercises and many more to help patients address the root causes and behavioral fallout of their ongoing substance abuse. These treatment facilities offer multiple treatment sessions per week. For those who require a more in-depth level of care, intensive outpatient treatment follows the same treatment model at more frequent and longer-duration treatment intervals. Outpatient treatment programs in Alaska are generally more readily covered by insurance, Medicare, and Medicaid than their inpatient counterparts. Programs usually last around six to eight weeks, depending upon patients’ progress and ongoing care needs.